Apple cider vinegar enthusiasts and naturalists in general, can recite a long list of ailments that ACV can cure, prevent or help, and there are all kinds of traditional home remedies that include the use of apple cider vinegar. But can apple cider vinegar really do all that’s claimed for it? Medical research is finding out what others have known for generations. It can. ACV is filled with germ killing acids and contains dozens of nutrients, trace minerals and enzymes. The exact composition of each vinegar is determined by the kind of apples used and their condition, but all ACV is both antiseptic and antibiotic. The story of “Thieves Vinegar” got its name during the Great Plague of Europe, when some enterprising thieves were said to have used ACV to protect them from contamination while they robbed the homes of plague victims. Outside of an infection or illness, how can apple cider vinegar help you and your hair? If you’re looking for a way to ensure a healthy, richly colored, full head of hair well into old age, start each day with a glass of water and 4 teaspoons each of apple cider vinegar, black strap molasses and raw honey. The multi-nutrient benefits of ACV will eventually begin to show up in new hair growth. ACV will banish dandruff and keep your hair shiny. It has the ability to restore the pH balance of your hair and scalp without destroying its natural oils. It will also thoroughly cut through any residue of hair products, such as sprays, waxes and pastes, heat protectors, and setting lotions, that tend to remain even after a good shampoo. And your hair will be less tangled after you rinse with ACV. Mix 1/2 cup apple cider vinegar into 2 cups of warm water and use it as a rinse after every shampoo. A spray bottle works well for this application. It won’t run off, you’ll use less and you’ll get the rinse right where you want it. Comb it through and then rinse again with fresh cold water. Why cold water? This will close the hair’s cuticle, the scale-like covering on the hair strand, allowing your hair to reflect more light and making your hair shine. This rinse will also eliminate frizz from over-permed or over processed hair, will brighten dark hair and will add sparkle to blond hair which tends to be less reflective. You can apply this rinse every time you wash your hair, or use it once a week, particularly if you don’t use a lot of hair products. And don’t worry about the smell. It will dissipate as soon as your hair is dry. If you like the scent of herbs or essential oils, try adding some to your ACV hair rinse. Specific plants work to relieve certain conditions. Research has shown that rosemary works as well as minoxidil, the common drug prescribed for hair loss. You’ll need to be patient, however. It may take up to 6 months before you start seeing results, but eventually, you’ll begin to see more hairs growing from previously compromised hair follicles. The control tests used rosemary essential oil, but you can soak fresh or dried rosemary in ACV for several days, then strain it before you use it. If you use the oil, it may sting a sensitive scalp. Try adding a few drops to a carrier oil such as jojoba, almond or olive oil. You’ll want a mix of 5 drops rosemary oil to 1 tablespoon carrier oil. You can also add this mixture to your shampoo or conditioner. Note: If you have underlying problems such as a thyroid imbalance or chronic stress, it’s important to alleviate those problems so your hair can regrow. Otherwise, rosemary may not work for you. Lavender is a wonderful treatment for dry hair. Mix the essential oil into your ACV – 5 drops oil to a tablespoon of ACV – then add that to 1/4 cup carrier oil (jojoba for all hair types, almond for light hair, walnut for dark hair, olive or avocado for dry hair). 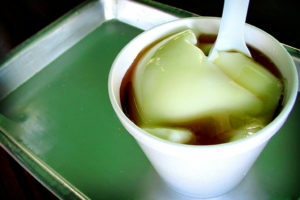 Place the mixture into a small saucepan and warm on low for just a few minutes. Do not make the mixture hot (if you cannot touch it with your finger, it’s too hot) and do not use a microwave oven. Apply evenly to the hair, working it into the ends, massaging it into your scalp and combing it through. Pile long hair up and wrap you hair with plastic wrap (this will keep the heat in), then let it sit for 20 minutes or until the oil is cold. Wash gently and style as usual. You can also use sandalwood essential oil for this application, but it’s a bit pricey. If you have the opposite problem – oily hair – this is the plant for you. You’re producing more oil than your hair needs, possibly as a reaction to over-drying chemicals in hair products, hair dyes, bleaching, or harsh shampoos. Mix your treatment the same as for dry hair, massaging it into the scalp and combing it through to the ends. Don’t worry about the oil in the mixture. Plant oils work differently than animal oils (from your oil producing glands). The herb and the ACV will balance this. You can also use chamomile or rosemary for this application. Add this essential oil if you suffer from dandruff. If your hair is neither dry nor oily, try using geranium essential oil to give it more body. Gray hair tends to discolor, either yellowing or darkening because it’s more porous than other hair. If your hair is not chemically colored, try using sage to darken or chamomile to lighten any odd shades and blend the color a bit. Note: Remember, you only need to do a warm essential oil treatment once a week or twice a month. Always do a patch test on your inner wrist before using essential oils. Mix the ACV/essential oil/carrier oil preparation, then dab it onto the inner wrist where the skin is delicate. Wait 24 hours to see if there is any reaction such as redness, itching or burning. If there is, try a different essential oil. Always consult with your health care professional before using essential oils, particularly if you’re taking prescription medications. 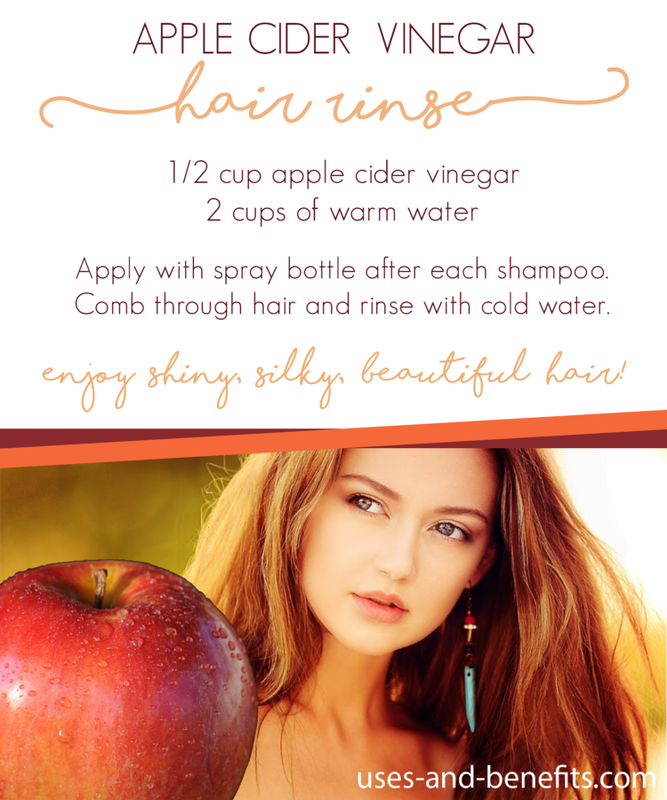 How to Do an Apple Cider Vinegar Hair Rinse? Does Apple Cider Vinegar Lower Cholesterol ? Is Cider Vinegar The Same As Apple Cider Vinegar? 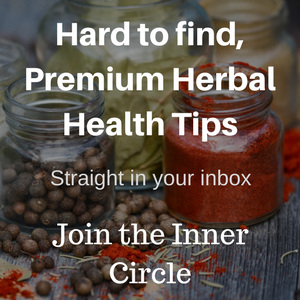 Do you love being Healthy, the Natural way? Then you must join our Inner Circle. 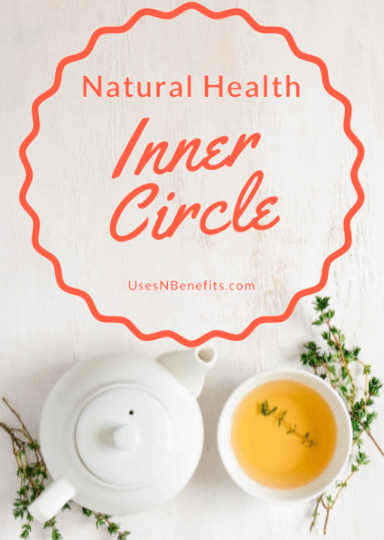 Get premium, rare to find, natural health tips, free resources and ebooks in your inbox when you join the Inner Circle. see the privacy promise. Unsubscribe any time. 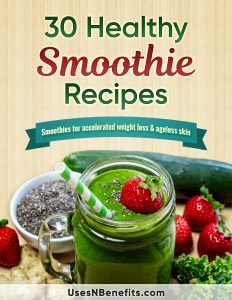 This book is packed with selected, the best smoothie recipes for accelerated weight loss & ageless skin. Enter your name and email below to download instantly. privacy promise. More free resources when you join.